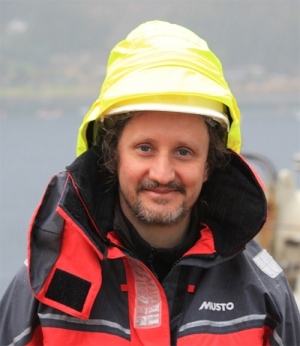 Published by Nature on 27 November 2017, the article features the interview with CTBTO hydroacoustic engineer Mario Zampolli, where he explains how CTBTO’s International Monitoring System works, as well as how the hydroacoustic station helped detect an unusual signal in the area where the ARA San Juan submarine went missing. 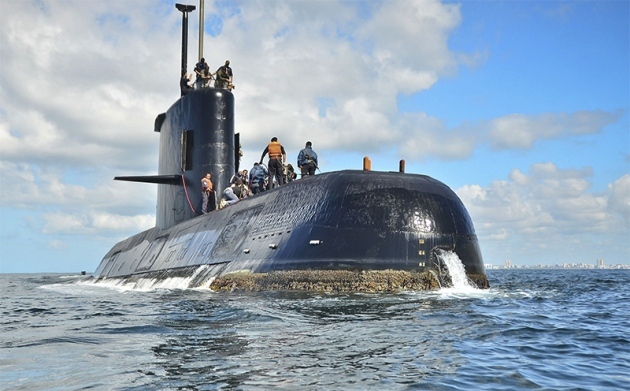 On 15 November, Argentina’s Navy lost contact with the ARA San Juan, a small diesel-powered submarine that had been involved in exercises off the east coast of Patagonia. About a week later, on 23 November, the Vienna-based Comprehensive Nuclear-Test-Ban Treaty Organization (CTBTO) announced that its International Monitoring System — a network of sensors designed to detect nuclear explosions wherever they happen around the globe — had picked up a sound consistent with that of an explosion near the vessel’s last-known location. The submarine is carrying 44 crew members. The CTBTO’s system has numerous scientific applications and this is not the first time that it has been put to use in the aftermath of a possible disaster. In 2000, for example, researchers searched its data for signs of the lost Russian submarine Kursk, and in 2014 they used it to try to determine the fate of Malaysian Airlines flight MH370. Nature spoke to CTBTO hydroacoustic engineer Mario Zampolli about the latest search. How does the international monitoring system work? The system has 289 stations worldwide and, when complete, it will have 337. We use four different technologies: seismic, atmospheric infrasound and hydroacoustic, plus the radionuclide stations, which detect traces of radioactive isotopes from possible explosions. All the information goes to our international data centre in Vienna, and also to our analysts, to examine if there are any events that are of interest with regard to the detection of nuclear explosions. These systems record data 24/7. The signals are stored and are used for a variety of scientific applications and disaster mitigation. How can you help in the search for the ARA San Juan? Six of our underwater stations are equipped with hydrophones. Two stations picked up a signal: one in Ascension Island, slightly south of the equator in the Atlantic, and the other in the Crozet Islands in the Southern Indian Ocean, half-way between Africa and Antarctica. These two stations saw the same signal. Also, because each station has three sensors, based on the delay between the times when the signal reached each of the sensors, you can compute a bearing, and calculate the direction in which the signal was coming from. If you compute the geodesics starting at those points, the two lines cross in a location quite near to the point where the submarine last made contact. Is this type of analysis done in real time? For nuclear-explosion detection the CTBTO has a real-time processing pipeline. The automatic processing pipelines are optimized for detecting nuclear explosions. Whichever type of detector you build, you have to strike a balance between the probability of detecting something and the probability of false alarms. If the system is so sensitive that it detects everything, you will also have 100% probability of detecting false alarms. We would be completely swamped with events. To search for other signals, it becomes a manual job. We have to write ad-hoc pieces of software, compare signals and discuss them. And what did your data show? We found the location where the sound originated. It was estimated to have occurred 3 hours and 21 minutes after the last contact between the submarine and the base. We carried out a detailed analysis of the sound and are confident that this is not a natural event. It was an impulsive signal — short and sharp. The fact that it was detected with a good signal-to-noise ratio at Ascension and also at Crozet — 6,000 to 8,000 kilometres away from the source — means it must have been fairly loud. Some aspects of the signal are consistent with what has been seen in explosions before. But it is really very difficult to say that this was an explosion. Are you able to say what caused it? For example, could some explosives aboard the vessel have detonated accidentally? It is very difficult to speculate. You have an undersea structure, with a steel pressure vessel. It could be something that happened inside or outside. It could be many things. We don’t know the dynamics. What’s important is that this was not a natural event. We are not about trying to find out what happened. What we try to do is contribute information to the search authorities, which could help to refine the area of search. Where the signal originated can very much change the intensity — for example, whether it was near the submarine or inside of it — all these detailed aspects can change the sound level. Let alone the fact that one does not know at what depth this happened. Why does water depth make a difference? There is an optimum depth at which sound propagates. It is called the SOFAR channel, or sound fixing and ranging channel. It acts like a waveguide in which the sound propagation is more efficient. Because different layers of the ocean have different temperatures and salinities, the speed of sound also changes. So sound waves in the SOFAR channel are reflected back at the boundaries between different layers, as in an optical fibre? Yes. Around the time of the Second World War it was discovered that, at a particular depth, sound could be received at farther distances. Air force pilots had a charge with them that was set to detonate at that depth. If they were downed, they could eject; if they made it alive they’d throw out this charge. It would sink and explode, and then their position could be triangulated so they could be rescued. Our hydrophones are located on the axis of the SOFAR channels. Are your data used in other applications? Data from the hydroacoustic network can help to characterize an earthquake. Tsunami-warning centres can use the data to understand details about the dynamics of an undersea earthquake. We also detect underwater volcanic eruptions and we can help to locate their whereabouts. Like all the other signals from the monitoring network, the data are available for use by the scientific community. Areas of interest include research on marine mammals. We hear them from hundreds of kilometres away. Having a permanent system that records these data allows biologists to collect statistics about the number of whales that live in a given area and how they migrate. How much can your data help to narrow down the search for the San Juan? 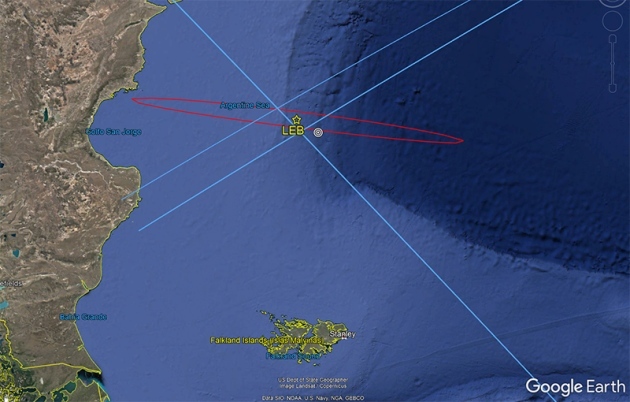 The margin of error in our localization is still being assessed in detail, but most likely the source was in the vicinity of the submarine’s last known location. With data from only two sensors we can point to an ellipse of maybe 100 to 200 kilometres wide (see above image). We have had some contact with the groups conducting the search. They seemed to be interested. But we have had no feedback from them.